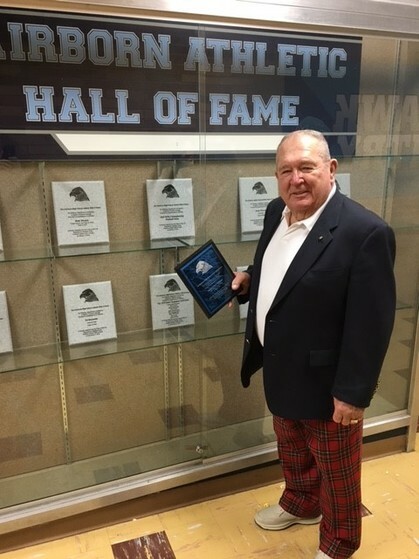 Also inducted last night was the 1965 football team, here is a pic of Coach Williams with his award! Punky still is kicking it with his plaid pants! Class Breakfast has a tab under reunions - just a reminder to join your classmates on 5th Saturdays. And a reminder that reunion picture information can be found in our reunion page. 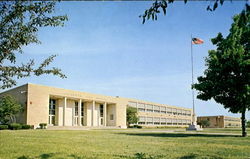 Welcome to the Fairborn Baker High School Class of ’75 website! Please take a moment and create your personal profile page (You choose how much you want the rest of us to know! ) and check back often for updates, and… your feedback is always welcomed!. This website is a lot like facebook, and will be eventually linked to it. Right now we are in the process of adding names, individual yearbook pictures and email addresses. 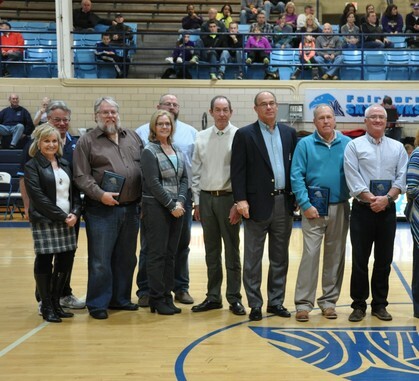 In other news.... December of 2014, Fairborn High School started an Athletic Hall of Honor. 4 people and 1 team were selected as the first inductees. Our 75 State Golf Team was the first chosen team! 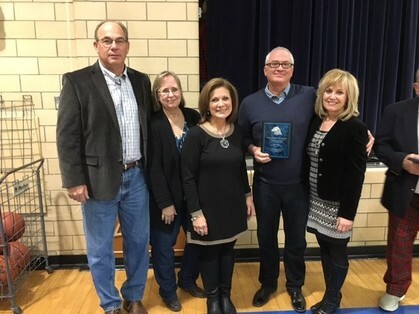 Pictured here are (L to R) Jeri Luce (75) (School Board Member), Dave Scarberry (Superintendent), Keith (75), Kathy, and Jay Brummitt ,Golf Team: Kevin McDonald, Tim O'Neal, Mike Glendening and Bob Crouch. Congratulations! Thank you for your patience as this site is developing into our own little place in "cyber-world". Here’s a thought as we progress through..
College and adult friends may know us, but high school friends know why.